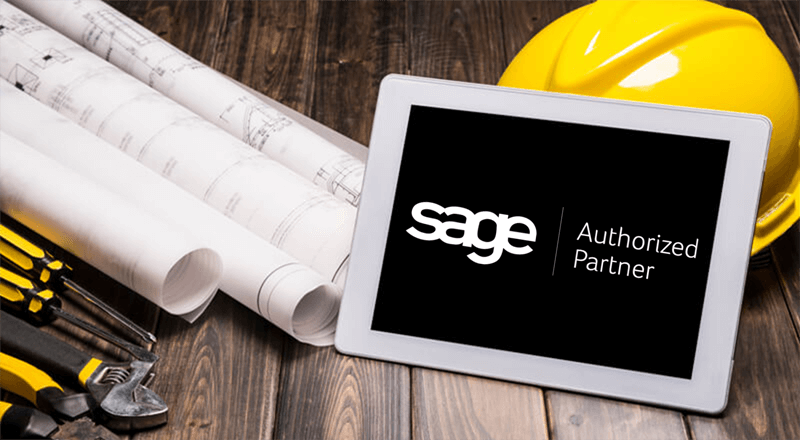 Sage 300 Construction and Real Estate (CRE) Version 18.1 is now available. Read on to learn about some of the best new features included in the latest release. With the NEW Mobile Dashboards, selected employees can use a mobile device (or computer) to view construction information presented in a visual dashboard format. The charts, grids, and data contained in Mobile Dashboards provide at-a-glance snapshots so you can make quick and informed decisions, regardless of whether you’re in the office or in the field. A collection of donut, line, and bar charts that show amounts owed to vendors, including by month and by vendor. In addition, a grid shows the vendor, amount paid, invoice balance, open retainage amount, and net amount owed. Column and pie charts show amounts due from your customers in each aging period as well as a grid for each customer showing the invoice date, invoice number, and open amounts in each aging period. This report has a grid for each job showing the cost code breakdown, including the original estimate, approved estimate changes, revised estimate, costs to date, variance between the estimate and the cost to date, and percent completed. Contact us if you need help activating or learning how to use the new Mobile Dashboards. The Sage SQL Replicator tool that was originally introduced in Sage 300 CRE 17.1 has been enhanced in Version 18.1. Sage SQL Replicator is a tool that copies your Sage 300 Construction and Real Estate data from the old Pervasive database (no longer supported) and moves it into a more modern SQL Server database. Running on SQL Server provides for faster and more reliable system performance as well as an opportunity to connect with other applications that run on the very popular SQL platform. In the table on the Replicator Configuration tab in the System Administrator window, click the On Demand check box for the company folder that you want to only replicate on demand. Click Start to begin the replication. After the replicator has completed for that database, it will not replicate again until you click Start in this window again. With Sage 300 CRE 18.2, you can now select a replication mode to control the timing or the files replicated for a specific database. In the table on the Replicator Configuration tab in the System Administrator window, make a selection in the Mode column for the company folder. If you selected Scheduled for Mode, you can use the Task Scheduler to change the schedule frequency and starting time. If you’re currently running Sage 300 Construction and Real Estate versions 16.1 or 17.1, you can upgrade directly to Sage 300 CRE 18.1. If you’re on versions 14.1 or 15.1, it’s recommended that you upgrade to 16.1, then to 18.1. For versions older than 14.1, or if you’re also running Sage Estimating, Document Management, or MyAssistant, contact your Sage 300 CRE Reseller for additional guidance. Download the Release Notes for full details.